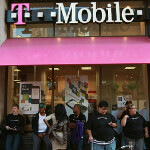 T-Mobile on Thursday announced a pair of budget priced Android handsets from Samsung, both expected to launch this month. Despite its $79.99 price after a $50 mail-in-rebate and a signed 2-year pact (with a qualified voice and data plan), the Samsung Exhibit 4G offers many specs that you would expect to see in a higher priced phone such as a 1GHz processor and the 3.7 inch AMOLED screen with resolution of 480 x 800 pixels. There was a time not so long ago when that would have been considered a high-end display. The 3MP camera on back might show a little bit of being budget material, but there is a decidedly un-budget like VGA front-facing camera on board. And the handset will come out of the box with Android 2.3.3 installed. Don't forget the HSPA+ connectivity which gives the phone the '4G' title at the end of its name. Considering what you get for the price, this could very well be the best bargain among Android devices. T-Mobile TV offers free programming from ABC News Now, FOX Sports and more. The Samsung Media Hub allows users to rent or buy movies or television shows While a precise launch date was not revealed, we recently reported that a leaked screenshot revealed a June 8th launch for the phone. 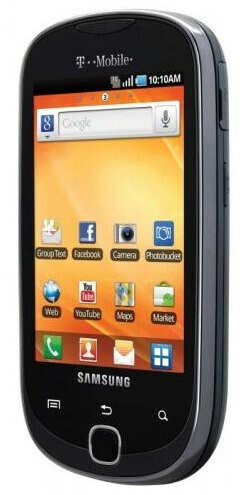 The second budget Android flavored phone announced by T-Mobile is the Samsung Gravity SMART. At T-Mobile stores, the phone will be available in Berry Red and Sapphire Blue at a price of $69.99 after a $50 mail-in-rebate and a 2-year contract (again, with a qualifying voice and data plan). Online at the carrier's web site, the Gravity SMART, in Lunar Gray only, will be priced at $29.99 on contract after the rebate, and with a qualifying plan.With this handset you will find specs that fall somewhat short of what is on the Exhibit 4G. First of all, Android 2.2 is under the hood and is equipped with a 3.2 inch display. 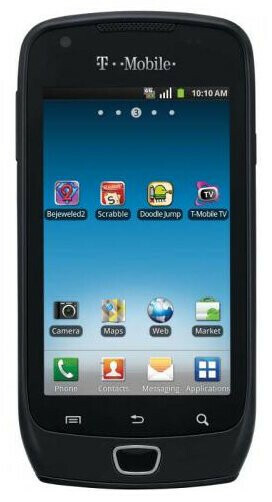 The Samsung Gravity SMART is the first Android flavored phone in the Gravity line and is basically a messaging device that offers group text and a 4 row, slideout QWERTY keyboard. One nice touch is that Swype comes pre-installed which is one app that messaging devices should not be without. For those looking for the high to mid-range Android experience at a bargain price, you will be hard pressed to top the Samsung Exhibit 4G. And for those who don't need all of the bells and whistles that higher range Android phones bring, the Samsung Gravity SMART allows those who mostly use their phone for texting and to send email, to pay a low price for a quality handset. How much will the samsung gt2 cost, just the phone it's self?